Consumers for Paper Options, organized by the American Forest & Paper Association (AF&PA) and the Envelope Manufacturers Association (EMA), brings together industry, nonprofits and consumers to address advocates of Internet-only resources vs. paper-based options at the exclusion of the millions of Americans who want or need access to paper-based communications. Despite good intentions, the transition to digital-only information and services threatens millions of Americans. Many low-income individuals, senior citizens and citizens who don’t have internet access - about 25 percent of Americans - are threatened by a shift to digital-only options. There are also people who oppose online personal transactions due to the risk of divulging sensitive and private information online, and feel paper is a more secure choice. Consumers for Paper Options seeks to preserve access important paper-based information and services for Americans who either need or want them. While technology advances and technology can provide many benefits, government and private sector businesses and organizations should not promote digital services and information by discriminating against citizens who want or need more traditional, paper-based access. More government and private sector businesses and organizations are trying to move away from paper-based statements, invoices, policies and forms due to the alleged cost savings associated (e.g. for more information on paper preferences and the short-term versus long-term costs association with a shift to digital-only communication, read this Office of Inspector (OIG) General Report) with a shift to digital communications. 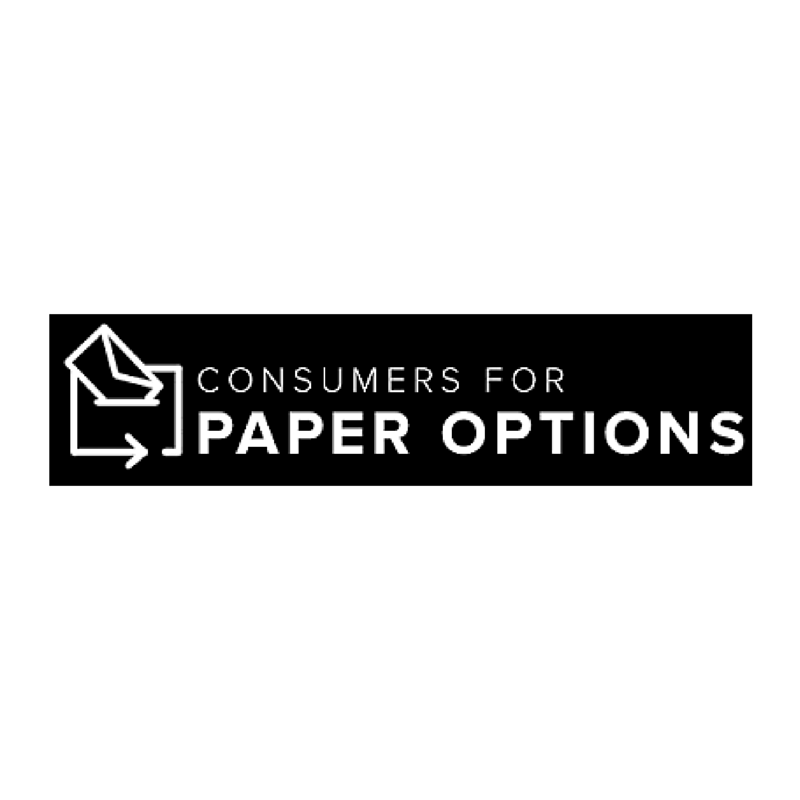 Consumers for Paper Options works to support legislation to reinstate paper options and urges proponents of digital-only communications to rescind those decisions. Americans want a choice in paper-based options, and Consumers for Paper Options can bridge the digital divide and save millions of dollars, without shifting cost burdens to those who can least afford them - low-income families, senior citizens or the 25 percent of Americans without internet access. To learn more, visit paperoptions.org.